Male, July 26 (IANS) Pakistan Prime Minister Nawaz Sharif has blamed India for scuttling the Saarc summit which was scheduled to be held in Islamabad last year. Sharif, who is visiting the Maldives, said India not only harmed the South Asian Association for Regional Cooperation (Saarc) it also undermined the spirit of the regional forum. Addressing a joint news conference along with Maldivian President Abdulla Yameen Abdul Gayoom in Male, he said both the countries share common views to make Saarc a vibrant organisation for regional development, the Associated Press of Pakistan reported. 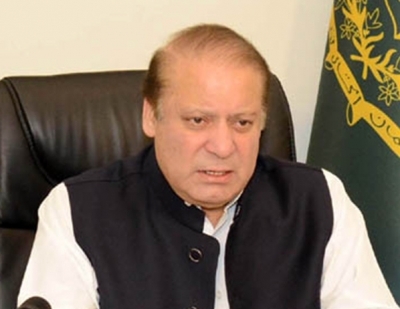 Sharif said that during his talks with the Maldivian President he also raised the Kashmir issue. India pulled out of the Saarc Summit last year citing increased “cross-border” terror attacks. Afghanistan, Bangladesh and Bhutan also pulled out of the Summit indirectly blaming Pakistan for creating an environment which was not right for the successful holding of the meet, resulting in its collapse.